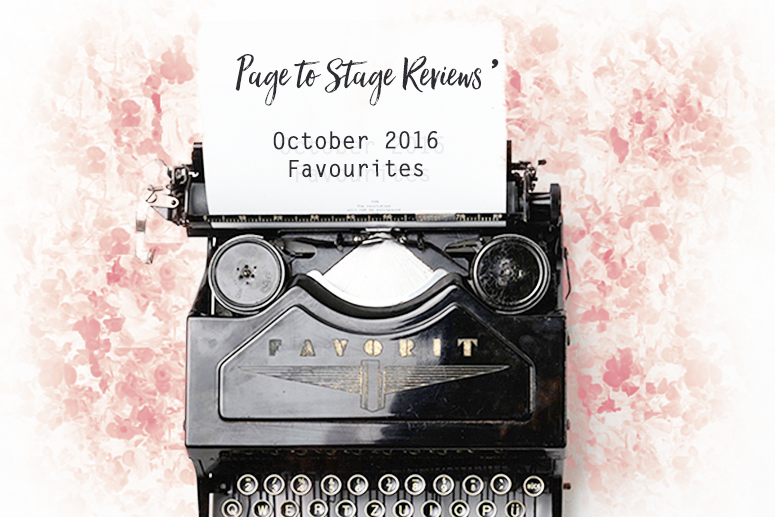 I go through phases of especially loving a particular style of books. In recent years I went from women's fiction to young adult (still loving myself a good rom com in between, of course) and my latest passion are beautiful non-fiction books. You know, the ones that inspire and you treasure because they're just so darn stunning and unique. 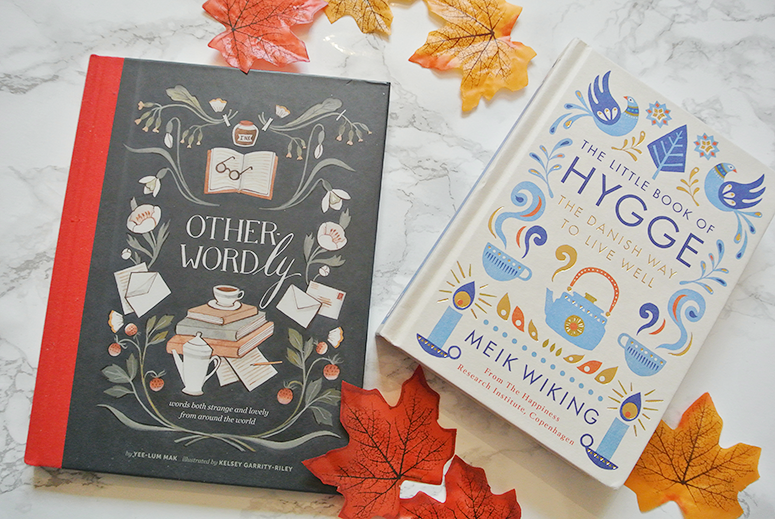 Examples of books like this I've especially enjoyed recently are Other-Wordly by Yee-Lum Mak & Kelsey Garrity-Riley and The Little Book of Hygge by Meik Wiking, but there are many more gorgeous titles you should all check out. So be sure to keep your eyes on my Bookish Gift Guide for the Holidays, which I'm publishing on this blog in just a few weeks time! I was soooo incredibly excited to FINALLY visit a Bath & Body Works when I was in Canada that I actually ended up going three times! My excitement in advance had been all about their pumpkin range but when I smelled it in person it was far too sweet for me and so I was delighted when I discovered their more spicy and fresh-smelling autumn fragrances. 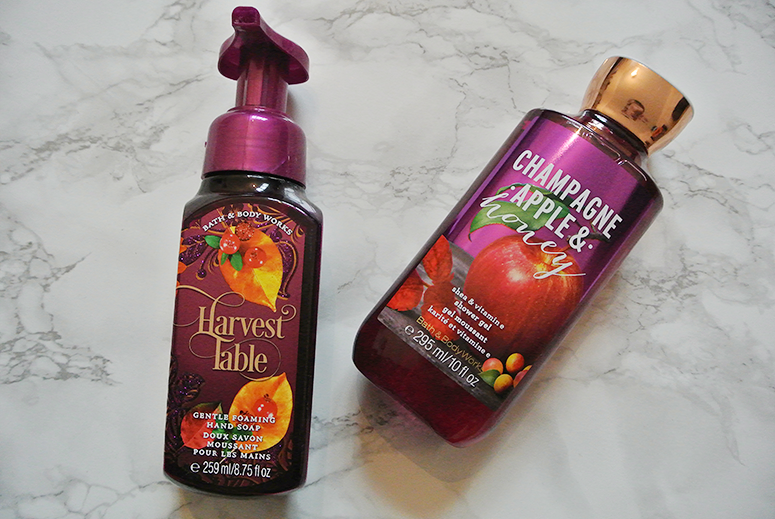 I bought quite a lot (and would've bought even more if it would've fit in my suitcase, not gonna lie) but my current favourites are the beautiful Harvest Table Foaming Hand Soap (foaming hand soaps are my favs and I bought five of them!) and the Champagne Apple & Honey Shower Gel. I will go into more detail about my B&BW purchases (and the amazing discounts I got) in an upcoming Canada shopping haul. 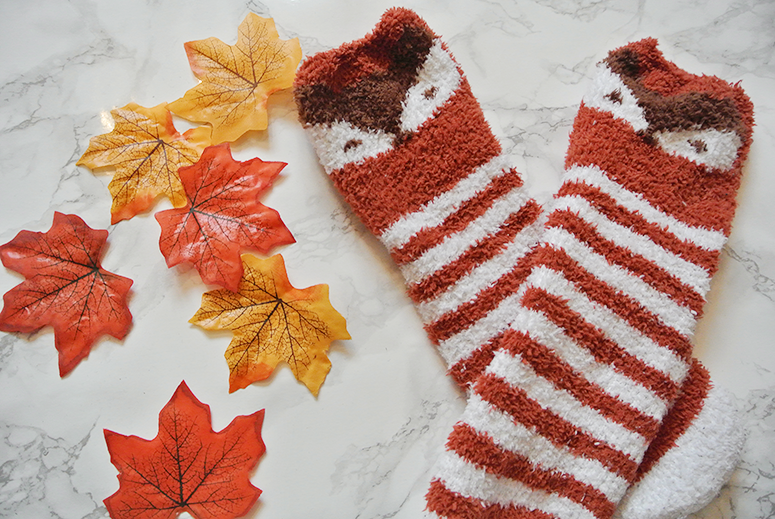 One thing I cannot get enough of are fluffy socks for that ultimate cosy feeling in autumn and when I spotted these gorgeous ones with foxes on them (I loved woodland creatures, ESPECIALLY foxes) I of course had to pick them up. They are even softer than they look and super cute (they've already featured in some blog photos, hehe). I paid $6 CAD at Old Navy but they've now been marked down to $3, so what are you waiting for?! You guys know I love Cath Kidston, and while it's usually the beautiful designs that makes me adore them in this instance it's actually the incredible quality of the product within the iconic packaging. I have a very dry skin, especially in autumn and winter, and so I'm always moisturising my hands. When they have a particular bad bout of dryness the only thing that works for me is using this hand cream (just twice a day does the trick). It's super thick and rich, yet it absorbs very quickly and works straight away. It's basically magic in a cute tube. 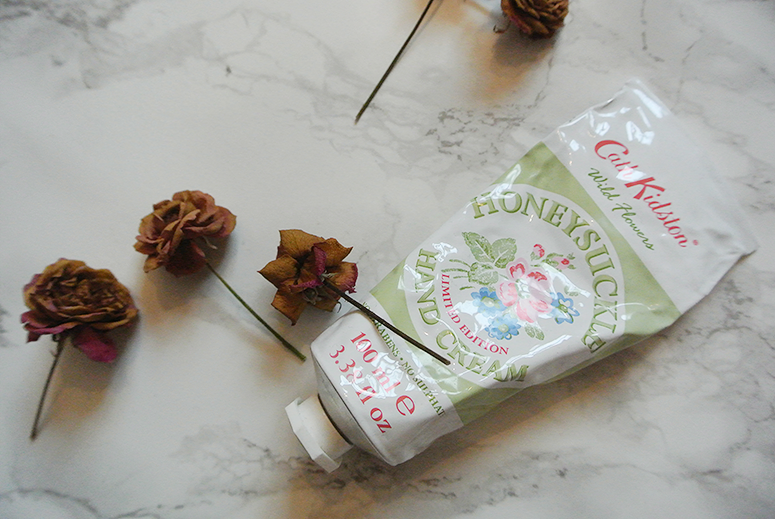 This is not a new product and so unfortunately no longer available at Cath Kidston, but they do have some comparable hand creams such as Meadow Posy (£8) and Painted Rose (currently marked down from £10 for £7). Another shop I was very exciting to go to in Canada was Bluenotes. It's a brand selling casual clothing in often the warmer autumn colours (especially as, you know, I visited in autumn) and I bought a brilliant green jacket from them when I lived in Canada 10 years ago which I still wear. 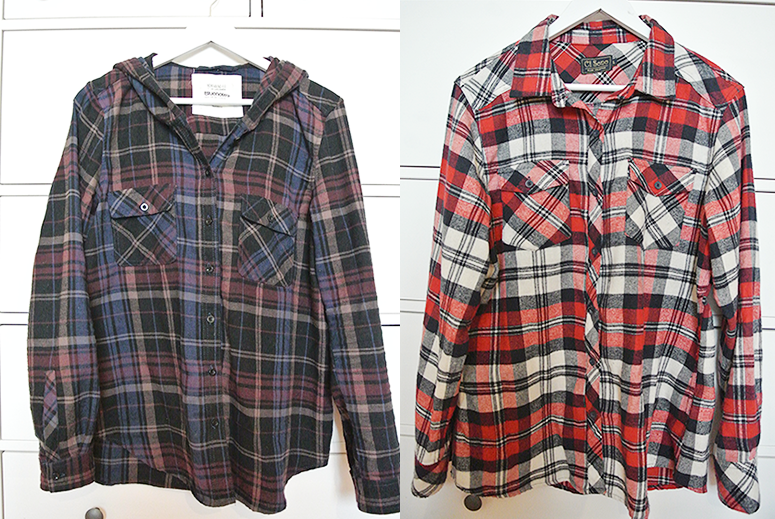 This time around my mission was to get some warm flannel shirts for the colder months and I succeeded brilliantly. Not only that but when I bought them they were on offer as 2 for $40 CAD and I got another $5 off at the till so basically it was buy 1 get 1 free. Awesome. They're really soft, warm and super comfy. It's not visible on the picture but the one on the left has a hood too which is just awesome. Even though I bought both only about 3 weeks ago I've already worn them loads and I will definitely wear them many more times throughout the upcoming season. I can't see the exact shirts I bought on the Bluenotes website, but you can view their current range of plaids here. P.S. is it too early for Christmas favourites? Because if it isn't, do check out the gorgeous Have Yourself a Merry Little Christmas by Josh Groban. That man's voice is meant for Christmas songs and I'm thrilled he released a new one after I've been listening to his Noel album on repeat in November and December for the last few years (it is my seasonal staple alongside The Muppet Christmas Carol). Surely another full festive album is on its way too? !